Welcome back. In 2009 an international team of scientists launched a 10-year investigation funded by the Alfred P. Sloan Foundation. The subject was the deep carbon cycle. I wasn’t aware of the investigation until I saw a report on one aspect of the work: the nature and extent of life deep within Earth. The report is fascinating, whether or not you’re a fan of microbial life. Candidatus Desulforudis audaxviator (purplish rod-shaped cells straddling orange carbon spheres) is a species of bacteria originally found 2.8 km underground at Mponeng Gold Mine near Johannesburg, South Africa (from deepcarbon.net/life-deep-earth-totals-15-23-billion-tonnes-carbon). Given that carbon forms the backbone for all essential organic molecules produced by living organisms, that carbon-based fuels supply most energy and that carbon dioxide has a major effect on our climate, it’s surprising how little is known about the physical, chemical and biological behavior of carbon inside Earth, where 90% of our planet’s carbon is found. We are just beginning to understand the many ways deep Earth carbon impacts the oceans, atmosphere and life at the surface. - Quantities -- How much carbon does Earth contain and where is it? - Movements -- What is the nature of the deep carbon cycle? - Forms -- What forms of carbon exist within Earth? - Origins -- What can deep carbon tell us about the origins of carbon, prebiotic systems and life itself? The Deep Carbon Observatory is organized with four science communities: Extreme Physics and Chemistry, Reservoirs and Fluxes, Deep Energy and Deep Life. As the program approaches the end of its initially planned 10-year investigation, the Deep Life community, over 300 researchers in 34 countries, released the report I mentioned. 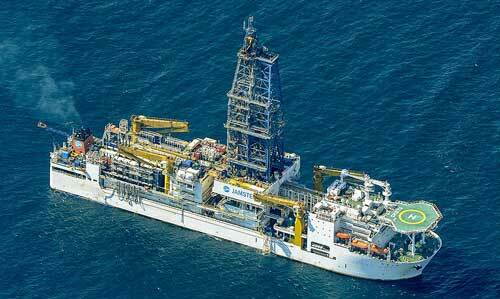 That team has collected samples at hundreds of sites under seas and continents--drilling 2.5 kilometers (km) into the seafloor and sampling microbes from continental mines and boreholes deeper than 5 km. Japanese scientific drilling vessel, Chikyu (from www.sciencemag.org/news/2016/09/deep-sea-drilling-expedition-look-lifes-limits-scalding-environments; see also www.ship-technology.com/projects/chikyu/). They estimate the size of the deep biosphere (the region occupied by living organisms) to be 2.0 to 2.3 billion cubic km, which is almost twice the volume of all oceans. They estimate the carbon mass of deep life to be 15 to 23 billion metric tons, which is 245 to 385 times greater than the carbon mass of all humans. - The deep biosphere includes bacteria, archaea and eukarya; bacteria and archaea are dominant, with about 70% of Earth’s bacteria and archaea living underground. - Deep microbes are often very different from surface microbes; some have been alive for millennia, barely moving except with geologic shifts; though metabolically active, they are in stasis, requiring less energy than thought possible for supporting life. - The genetic diversity of deep microbes is comparable to or exceeds that of surface microbes. - Deep microbe communities differ greatly between environments, yet certain genera and higher taxonomic groups occur globally. - The limits of temperature, pressure and energy availability that deep microbes can tolerate have not been found. 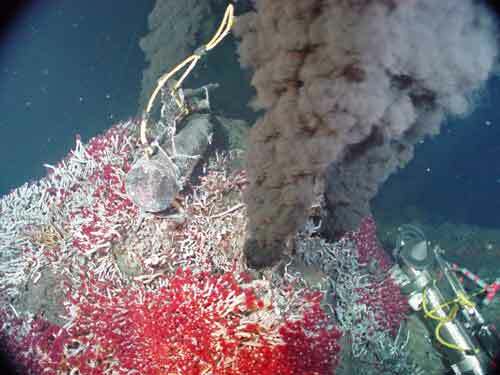 One single-celled organism, Geogemma barossii, thrives in hydrothermal seafloor vents at temperatures 21 degree Celsius hotter than boiling water. Barbed Altiarchaeales lives in sulphuric springs. 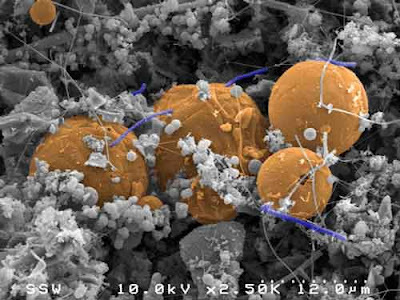 - The maximum depth that microbes have been found to date is about 5 km in the continental underground and 10.5 km below the ocean surface, a depth of extreme pressure. - How do deep microbes spread? What explains their similarity in different locations of the planet? - Did life begin deep in Earth and migrate upward, or did life begin on the surface and migrate downward? - How do deep microbes reproduce or live without dividing for millions of years? 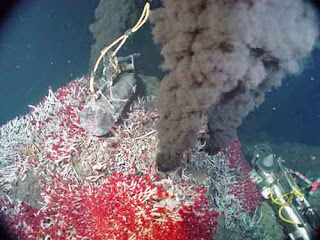 - How do the absence of nutrients and extreme temperatures and pressure impact deep microbe distribution and diversity? - Is methane, hydrogen or natural radiation the most important energy source for deep microbes? - What might we find on other planets?